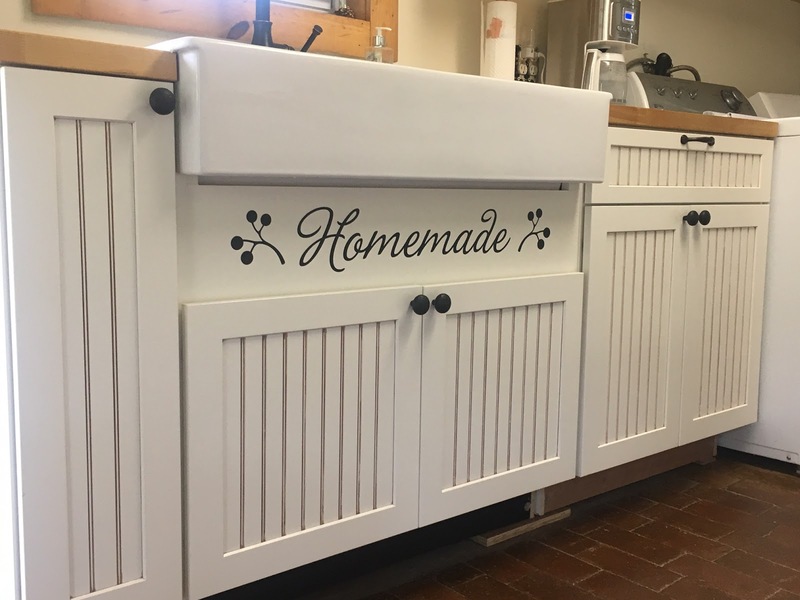 Ready to take your Kitchen to the next level? 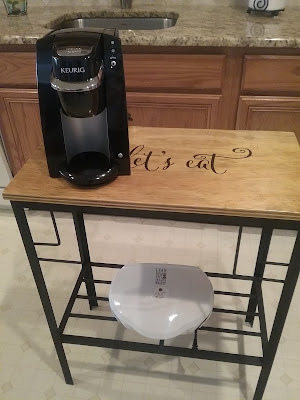 off-the-wall projects! Remember our vinyl is not just for walls - any mostly flat surface is a great place for a little touch of home decor. 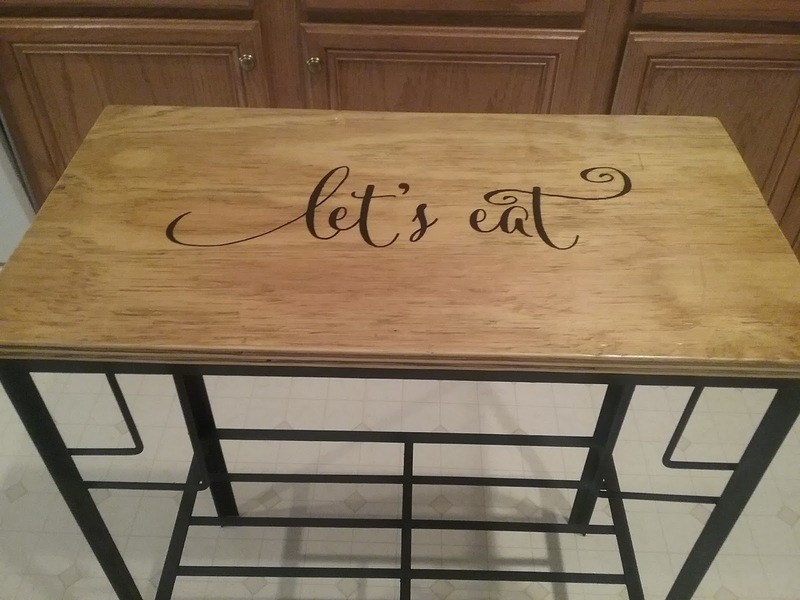 Linda used our Let's Eat Wall Quotes™ Decal on a super cute table in her kitchen! 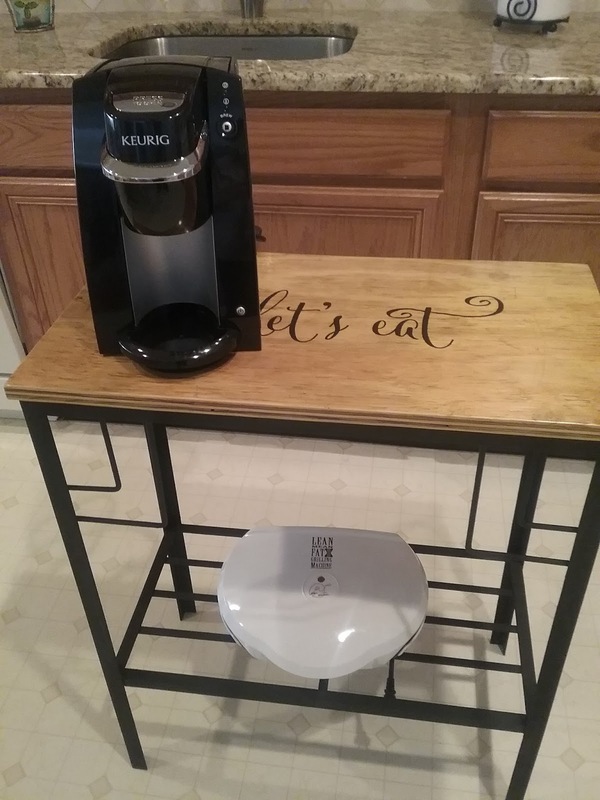 It looks great with her coffee maker and I bet is a great piece when she is entertaining for snacks! She got the 5 inch by 16 inch in Black. 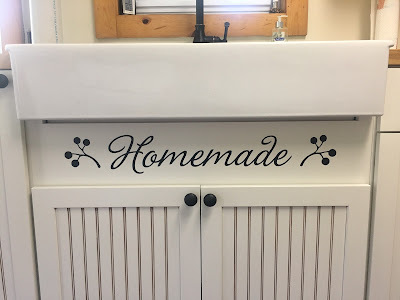 Cissy used one of our decals on a refrigerator - what a great idea! Especially for those with stainless steel that is not magnetic so there is not a lot of options to decorate, decals are a great alternative! 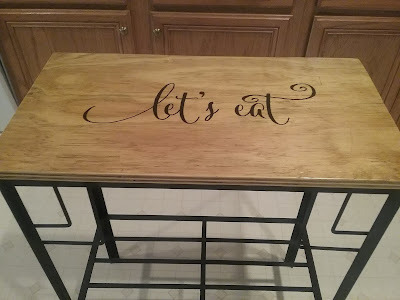 Get the same decal Cissy used with our Life's Short Lick The Bowl Wall Quotes™ Decal. Her's is 20 inch by 10 inch in Firetruck and Black. 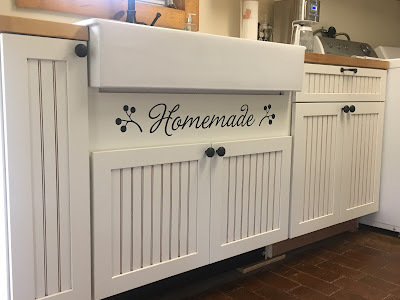 Have a Farmhouse Sink? 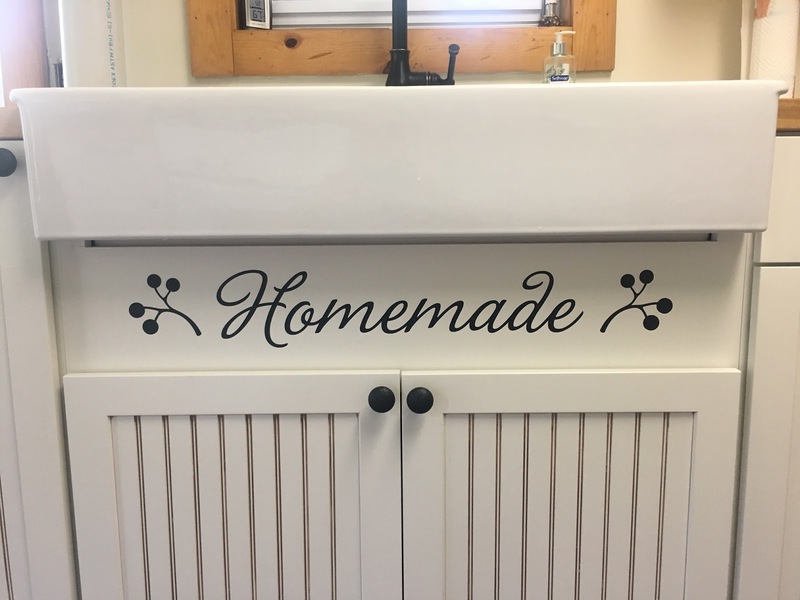 We are in love with this custom decal from Lisa Hanna that fits perfectly just below her amazing sink! She designed this in our Design Center, then sent it for review to one of our Design Team Members. We made sure that the proportions were correct and everything would fit in her space perfectly before she ordered. It just brings a little warmness to her space and I am just loving it! Have a great idea on some other off-the-wall ideas? Email us at info@wallquotes.com and you can be featured next!